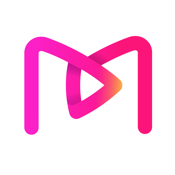 MeeLive is a real time mobile platform to let anyone broadcast live wherever they are and whenever they like. Broadcasting through MeeLive is easy, fun and exciting. By telling your amazing life experience, showing your talent to the crowds, sharing your emotions and so forth, you can easily meet with cool people with similar taste from all over the world. ● After you log in with MeeLive account, you can subscribe to VIP1 or VIP2 and pay through iTunes account. ● Once the subscription comes into effect, users can not get refund.